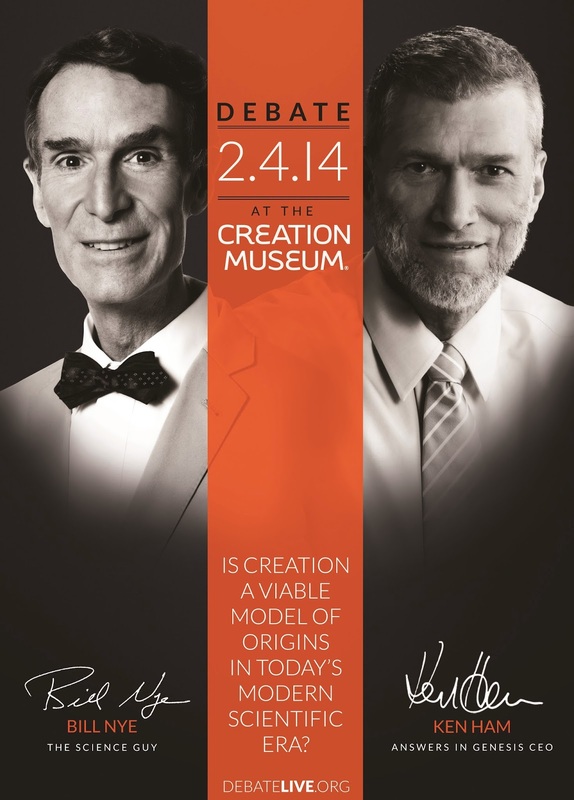 “In a few minutes, I hope you will take the time to watch the live debate between Bill Nye and Ken Ham (Evolution vs. Creation). If you have watched debates of this type before, you know that it is rarely a slam dunk on either side. If it is done correctly, it will be a civil exchange of ideas between two debaters who are defending their convictions (and showing the unreasonableness of their opponent’s ideas). Both debaters will conclude the night still firmly holding to their convictions with the desire that they influenced others to see that the truth is on their side. The audience benefits by seeing the rationale for both points of view and then is left to determine which seems more reasonable to them. The debate played out as expected. It was a civil (for the most part) exchange of ideas that allowed the audience to hear both sides of the discussion. Everyone is swayed by their point of view. They have biases that are formed as they live out their lives and those biases affect how they receive and interpret new information. That is why two men on the same stage can hold two very separate views on how things came to be and then end the debate with neither one swayed by the other’s information. The truth is the truth but biases filter out what doesn’t fit with our worldview. Nothing we believe is held in a vacuum. It affects outlook, behavior, attitudes, etc. 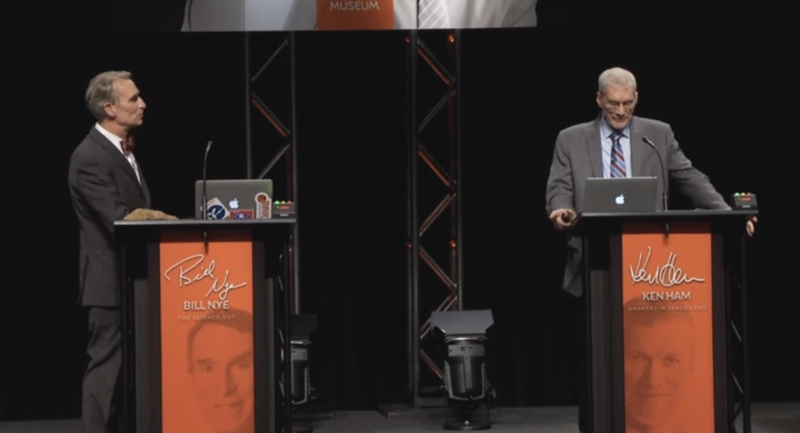 At one point, Ken Ham showed a powerpoint slide that revealed what was on the line. If evolution provides our worldview, then morals become subjective, euthanasia can’t be ruled out (remember “survival of the fittest”), etc. Yet, if Creation is one of our core beliefs, then we value life, we value each other (there is “one” human race), there are “rights” and “wrongs,” etc. There was more on the line last night than simply a discussion about how things came to be. It was also about how those ideas affect everything else. Bill Nye, on a couple of occasions, said that science would embrace a new idea. A secular scientist’s insatiable appetite to learn and discover makes them open to new things. He said that if someone presented an idea that could revolutionize the science world, other scientists would plead for further information. A paradigm shift would be an incredible experience for them that they would embrace. Yet, as Ken Ham presented a very compelling argument for why science needed to be divided into “observed science” and “historical science,” Bill Nye repeatedly blew it off. He claimed that no one else in the science world held such views. But wasn’t this the exact scenario that Bill Nye said scientists would embrace? Shouldn’t they want to hear why Ken Ham believes this? Based upon Bill Nye’s response, Ken will get no such audience. For instance, Ken Ham did a very good job when asked the question: “Do you take the Bible literally?” It would have been grossly simplistic to simply say, “Yes.” He needed to define his terms and I agreed completely with his response. We are to read and understand the Bible in the way that that the type of literature (genre) dictates. While we take the first chapter of Genesis literally because the type of literature demands it, we don’t take all of the things in the book of Psalms “literally” because poetry presents things in picturesque language, not necessarily precise language. For instance, Psalm 98:8 says, “Let the rivers clap their hands in glee! Let the hills sing out their songs of joy.” Is that to be taken literally? Of course not. It is presented as poetry in picturesque language. The fact that Bill Nye did not understand this (or maybe he really did understand it but chose to intentionally misrepresent what Ken Ham said) is beside the point. Ken Ham complied with Scripture and gave a good explanation for what he believed. Last night’s debate, generally speaking, was done well. Two men with two separate ideas had a public exchange. While I would say that Bill Nye was condescending at times and even downright offensive on a couple of occasions (saying that “true science” happens “out there”, i.e. outside the Creation Museum), I thought Ken Ham came across as a gentleman and a scholar. Next Next post: Leadership: The power of motivation!